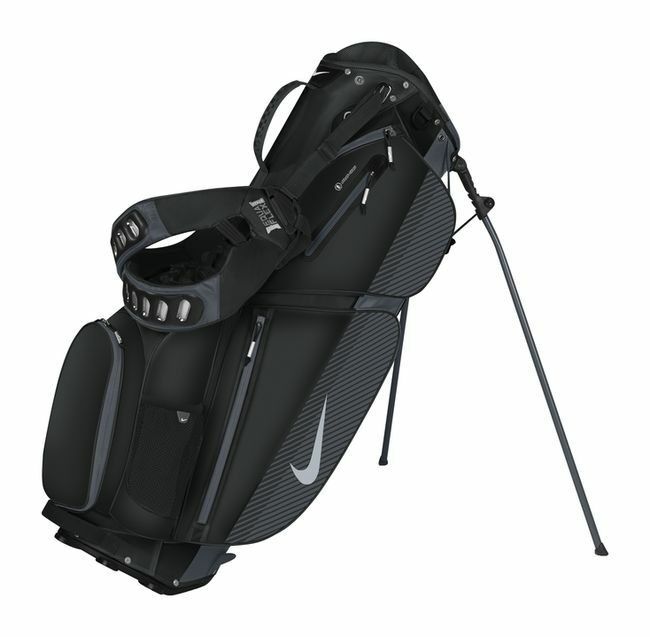 Nike Golf’s new Air Sport carry bag weighs less than five pounds and features the company’s EquaFlex Max Air curved revolving double strap system that distributes bag weight evenly across the shoulders. Coupled with a ventilated air mesh back pad, the Nike Air Sport helps eliminate fatigue on the course and (gasp) actually might encourage walking. The Nike Air Sport carry bag (street price $149.99) features an eight-way, three full-length divider system for club visibility, as well as nine pockets, including a water-resistant fleece-lined valuables pocket, insulated cooler pocket, quick access drawstring pocket, full-length apparel pocket and scorecard/pencil pocket. The bag is available in nine colorways that coordinate with hues featured in Nike Golf’s Spring 2014 apparel line.